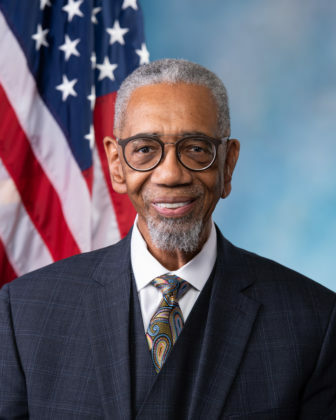 A 2018 report from the House Committee on Ethics shows Democratic Representative Bobby Rush is still utilizing the federal campaign finance system to benefit his family despite following a 2016 questioning by the Federal Election Committee. In 2016, the Federal Election Commission inquired into Rush’s campaign finance report due to vague categories of expenditures. Additionally, watchdog groups have questioned the large amounts of campaign money going to Rush’s family members. In 2016, Rush paid his now-late wife Carolyn Rush $50,000, his brother Marlon Rush $42,082, his mother Cora Rush $21.827.34, his son Jeffery Rush $13,654.96, nephew Flynn Rush $250. Rush himself took in $5,399.46 and Kacy Rush, his daughter, made $275. The contributions totaled over $130,000 combined. It makes a total of 22 percent of the $588,950 he made in donations. Rush contributed slightly less to family members this current election cycle, but family salaries still make up close to 20 percent of the donations Rush takes in. So far, he’s paid Jeffery Rush $1,000, $2,000 to Citizens for Flynn Rush, $20,000 to Citizens to elect Flynn Rush, $10,000 to Cora Rush, and $16,902.39 to himself. It currently totals $49,902.39, which is almost 19 percent of his current $267,175 in donations reported to this date. University of Illinois professor and Institute of Government & Public Affairs chair Brian Gaines said there are very few restrictions when it comes to paying family members to do campaign work. Rush’s team did not respond to media requests for comment. Earlier this spring, Rush was ordered by the ethics committee to pay $13,000 out-of-pocket since he was found of improperly receiving almost 27-years of free office space, according to Federal Election Commission records. The Office of Congressional Ethics referred the committee to Rush’s finances in 2014 and ultimately concluded the gifts Rush was taking in exceeded limits set by federal law. From 1993 to 2008, Rush exceeded the Gift Rule by $14,610, the ethics office found. “Accordingly, any campaign contributions in excess of federal and state limits represented gifts to Representative Rush, which the Gift Rule did not allow him to accept or retain,” according to the March 2018 Committee on Ethics report. Rush was elected as a Chicago Alderman in 1983 and began renting an office space on Martin Luther King Drive in Chicago in August 1989. Rush agreed to pay $1,126.49 in rent each month as well as a $1,881.00 security deposit. Rush incorrectly told the committee he expected the City of Chicago to pay for his rent and added it had done so in the past, according to the ethics report. He began to miss payments starting in January 1990 and attempted to pay twice with two checks that later bounced. Despite the missed payments, the company in charge, Draper and Kramer, never issued Rush an eviction notice or went to court. When Rush was elected to Congress in the mid-1990s, senior management issued a notice to suspend all collection efforts, due to possible political motivations.